In 1487 Portuguese explorer Bartolomeu Diaz put down anchor in a natural harbour he named ‘O Golfo de Santa Maria da Conceição’ but, for reasons never adequately explained, never laid claim to this land. Almost three centuries later, in 1793, the Cape Dutch staked the first colonial title. Two short years on Walvis Bay was annexed by the British. 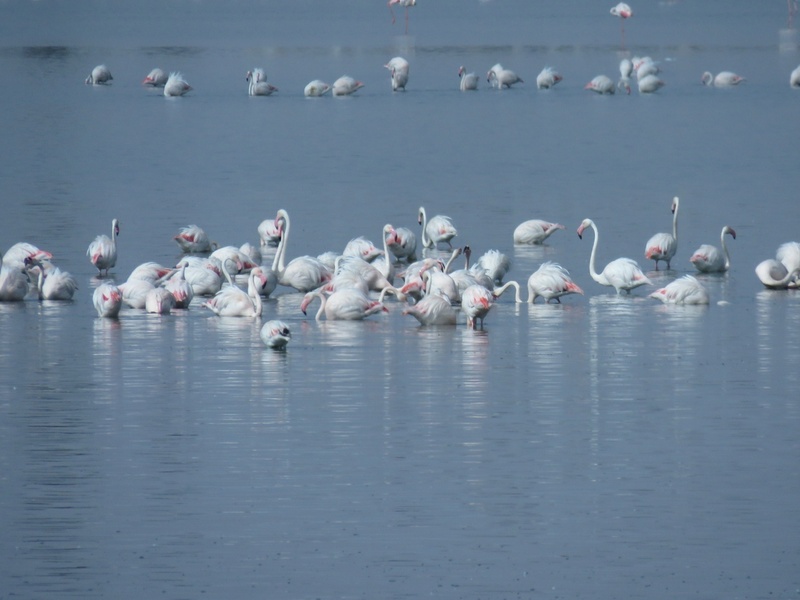 More recently, in 1910, Walvis Bay was included in the South African Union. It was only in 1994, that this harbour returned to indigenous hands after South Africa and Namibia negotiated its return. Walvis Bay has always been Namibia’s main harbour town, with a fishing industry that flourished until its partial collapse in the 70s due to mismanagement. In recent years the harbour has been developed to facilitate more container trade. Sport Centre. Auto Glass Repair. Auto Dealer. Auto Spares. Auto Specialist Service. Government Services. Prison. School/s. Commercial Offices. Industrial sites. Warehouse/s. Fire Brigade. Optometrist. Canteen/Snackbar/Tuckshop. Fast Food. Carwash. Upholsters. Veterinarian/Animal Hospital. Since the Dorob National Park was proclaimed on 1 December 2010, you need to be aware that only the C14, C28 and D1998 are open to the public without a permit. However, you're not allowed to wonder off the road once you are inside the National Park. Permits to use other roads in the park are obtainable from the offices of Nature Conservation in Walvis Bay and Swakopmund. (According to stakeholders the main objective of the proclamation of the park was to stop environmental destruction by off-road driving; and not the restriction of movement). Fishmar is the embassy agent. The hospital is a private hospital. 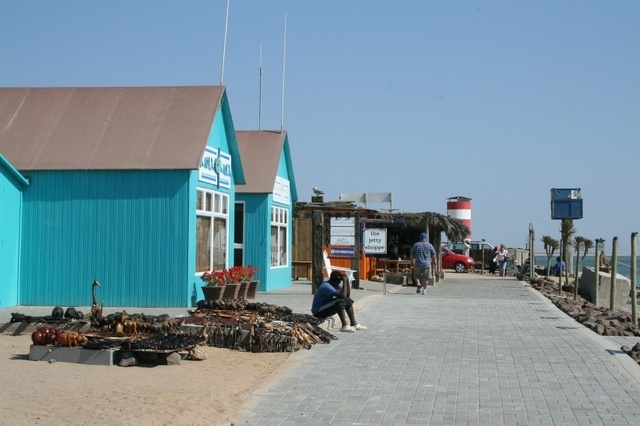 Walvis Bay offers plenty in the way of shops, restaurants and accommodation. And because it’s a working harbour you’ll also find engineering businesses and the like. So, it’s not a bad spot for mechanical repairs and refurbishment. There is also a Spar, Spur and Wimpy restaurant. Alternative number to Walvis Bay Information centre is +264(0)81 868 8520. Dune 7, the highest dune in the area, lies just outside the town. It’s a long trudge to the top but the views are worth the effort. Eco Marine runs kayak tours out to Pelican Point, and if you’re looking for a bite to eat, the Raft restaurant offers a memorable dining experience. 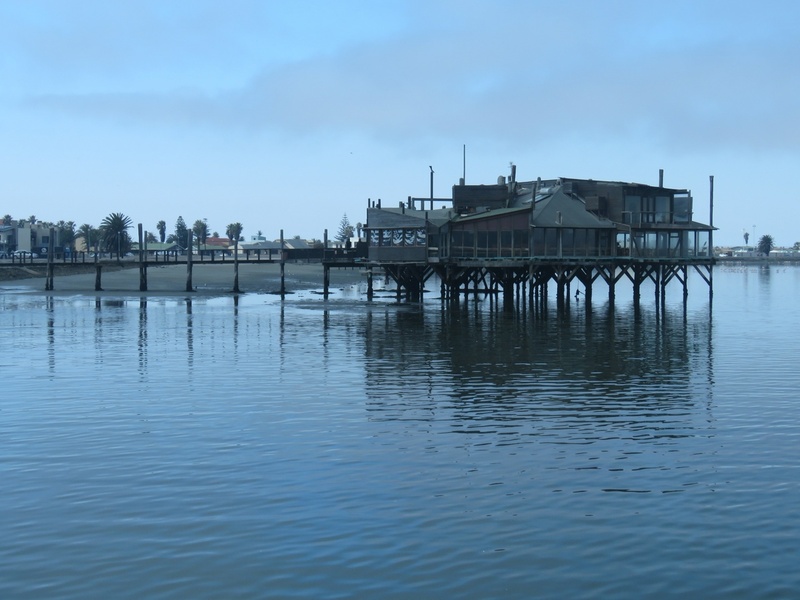 This wooden building stands on stilts in the lagoon, at the end of its own jetty.